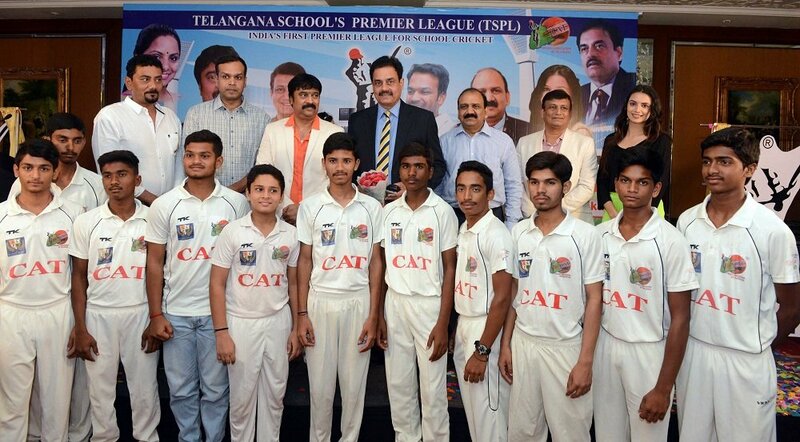 CAT is set to conduct the inaugural Telangana School’s Premier League for the Telangana State under the mentorship Dilip Vengsarkar. Hyderabad: In a bid to promote the young talent from schools the Cricket Association of Telangana (CAT), who celebrated its fifth anniversary on Friday, is set to conduct the inaugural Telangana School’s Premier League for the Telangana State under the mentorship of former Indian Test star Dilip Vengsarkar. The founder-secretary of CAT Kolanupaka Sunil Babu announced that the schools from all over the State from 31 districts will participate in the first-of-its-kind tournament. It is scheduled to be held among eight teams in September. He also said that the main aim of CAT’s inception was to provide platform for the rural cricketers. “A backward State like Jharkhand has produced MS Dhoni and that is an inspiration. The State of Telangana can produce many Dhonis,” he said. He also revealed that the as many as 5120 registrations will be done in 31 districts. The State will be divided into 10 zones and each zone will have 32 teams. Each zone will play 55 matches amounting for a total of 550 league matches. After the tournament 320 players will be selected based on the league performance and will be divided into eight teams for the Premier League. The TSPL will have 31 matches before semifinal and finals that will be played in Hyderabad. After the competition of the tournament, a team will be selected and that will be trained under Dilip Vengsarkar and play a match against Mumbai school team. After that 10 players will be selected from TS school that will play against Rest of India school team. Sunil Babu also revealed that they will conduct the first ever Indian School Premier League after the conclusion of the TSPL. Talking about the pilot project, Vengsarkar said that the success of Mumbai team in the Ranji Trophy and producing as many as 81 internationals, which was the most by any city in the world, was because of the strong school system. “Mumbai has a very strong school, college and club cricket system. That is why the city has produced so many internationals and won as many as 41 times in Ranji Trophy. We have Giles Shield inter-school tournament for under-14 category and Harris Shield tournament for under-16 category. Around 250 schools participate in the tournament. “There are many cricket grounds and good infrastructure. So the cricket in the city is very strong. Telangana is a big State with 31 districts. Talent spotting will be hard. The main aim is the talent should not go unnoticed. When Sunil Gavaskar retired everyone thought who will fill his shoes. Sachin Tendulkar did that perfectly. After Sachin, Virat Kohli did that. Who knows, after Kohli, a cricketer from Telangnana could fill his shoes,” he said.